Abe Delgado and I are tracking the weekend BBQ pop-ups in and around Los Angeles so that we all don’t miss out on the chance to go to any of these. We really do hope this is a tool that you can use to keep track of the growing number of pop-ups dotting the Los Angeles landscape(we have added a few outside of Los Angeles for those doing weekend California road trips). If you see that we are missing one, PLEASE feel free to CONTACT US via social media or this website so we can add. Barbacoa Boyz - Los Angeles - @thebarbacoaboyz on IG - No pop-up schedueld. Gogi Craft - Los Angeles - @gogicraftla on IG - Monday through Friday - Smoked Chicken for Salads House Root Labs - Next pop up TBD. Hambino’s BBQ - Ventura County - @hambinosbbq on IG - No pop-up scheduled. Hayseed BBQ - Los Angeles - @hayseedbbq on IG - No pop-up scheduled. Herc’s Barbecue - Los Angeles - @hercsbbq on IG - No pop up scheduled. Heritage Barbecue - Orange County - @heritagebarbecue on IG - Sunday April 28th at Bruery Terreux in Anaheim and Sunday May 5th at Game Craft Brewing in Laguna Hills. Highland Park BBQ - Highland Park CA - @highlandparkbbq on IG - No pop-ups scheduled. Holliday’s Barbeque - San Diego - @hollidays_barbeque on IG - No pop-ups scheduled - DM for special orders. Horn Barbecue - Oakland - @hornbarbecue on IG - No pop-ups scheduled. Kelly’s Barbecue - Los Angeles - @kellysbbqla on IG - No pop-ups scheduled. Meathead BBQ - Los Angeles - @meatheadbbqla on IG - No pop-up scheduled. Ragtop Fern’s BBQ - Los Angeles - @ragtopfernsbbq on IG - No pop-up scheduled. - DM to place special orders. Republic Craft Barbecue - Los Angeles - @republicue_ - No pop-up scheduled. The Rustic Que - Orange County - @therusticque on IG - No pop-up scheduled. I started a series in late 2018 to provide people in the BBQ and meat world to share new projects that they had going on. I wanted to keep them as short as possible, 10 minutes or less, but often times these went a bit over 10 minutes. 10 Minutes With Jordan Jackson - Bodacious Bar-B-Q - We talk about the re-opening of the Bodacious Location in Gladewater, Texas. 10 Minutes With Scott Moore - Tejas Market & Deli - Tomball - We talk about all about their newly opened Tejas Market & Deli. 10 Minutes with Matt Pittman - Meat Church BBQ - We chat about his forthcoming first ever brick and mortar location in Waxahachie, Texas opening very soon. 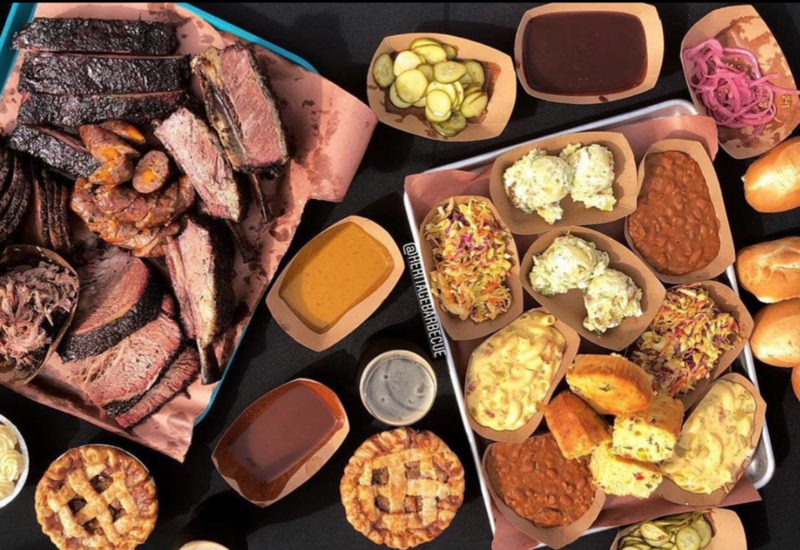 10 Minutes With Andrew & Michelle Munoz - Moo’s Craft Barbecue - Los Angeles - We chat about their jam packed 2018 and the huge news that they will be serving at Smorgasburg Los Angeles EVERY Sunday from 10AM til Sold Out. 10 Minutes With Matt Horn - Horn Barbecue - Oakland - We talk about his incredible 2018 and what is in store for 2019. 10 Minutes With Arnis Robbins - Evie Mae’s Barbecue - Wolfforth, Texas about his newly launched BBQ shipping business and pit building company EM Smokers. 10 Minutes With Adrian E. Miller - Soul Food Scholar - We chat right before his trip to Houston for his upcoming book Black Smoke. 10 Minutes With Leonard Botello IV - Truth Barbeque - We talk JUST PRIOR to the opening of Truth in Houston. 10 Minutes With Burt Bakman -SLAB BBQ - Los Angeles. We chat about his new restaurant, fermenting, and upcoming Shawarma Friday Nights. 10 Minutes With Dylan Taylor - Goldee’s Barbecue - Fort Worth, Texas. We talk about the work they are putting in to open their new restaurant in Fort Worth. 10 Minutes With Daniel Vaughn - Barbecue Editor - Texas Monthly Magazine. We talk about his upcoming book entitled Whole Hog Cooking that he wrote with Sam Jones as well as the new 25 Best New BBQ Joint list. 10 Minutes With Christian Stevenson(a.k.a. DJBBQ) about his upcoming book ‘The Burger Book’ and his new restaurant opening at the end of this year. A’s BBQ - Los Angeles - @as_bbq on IG - No pop-up scheduled. DM for Easter orders. Heritage Barbecue - Orange County - @heritagebarbecue on IG - No pop-up scheduled. DM for Easter Orders. Happy Friday. Abe Delgado and I are tracking the weekend BBQ pop-ups in and around Los Angeles so that we all don’t miss out on the chance to go to any of these. We really do hope this is a tool that you can use to keep track of the growing number of pop-ups dotting the Los Angeles landscape(we have added a few outside of Los Angeles for those doing weekend California road trips). Magilla's BBQ - Whittier - @magillasbbq on IG - No pop-ups scheduled. Ragtop Fern’s BBQ - Los Angeles - @ragtopfernsbbq on IG - Taking orders for Saturday April 13th - DM to place. Hey everyone! We can’t believe it’s already April. The rain looks like it has stopped or abated and in turn the BBQ pop-up scene is growing. 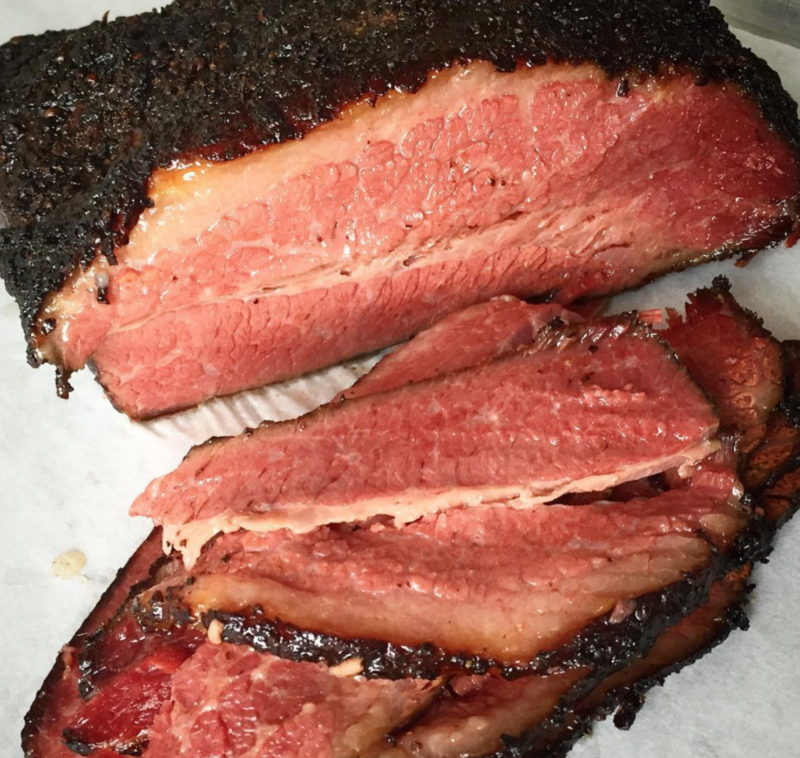 Heritage Barbecue - Orange County - @heritagebarbecue on IG - No pop-ups scheduled. Ragtop Fern’s BBQ - Los Angeles - @ragtopfernsbbq on IG - Taking orders for Saturday April 5th - DM to place. A’s BBQ - Los Angeles - @as_bbq on IG - No pop-ups scheduled. Heritage Barbecue - Orange County - @heritagebarbecue on IG -Sun. March 31st at Bruery Terreux - Starts at 1PM until Sold Out - we recommend you arrive early. Ragtop Fern’s BBQ - Los Angeles - @ragtopfernsbbq on IG - Taking orders for Saturday March 30th - DM to place. Horn Barbecue - Oakland - @hornbarbecue on IG - No Events Scheduled this week. Ragtop Fern’s BBQ - Los Angeles - @ragtopfernsbbq on IG - Next Event - Sat March 23rd DM for Info. Horn Barbecue - Oakland - @hornbarbecue on IG - No events scheduled - Stay tuned for Supper Club events coming up. Ragtop Fern’s BBQ - Los Angeles - @ragtopfernsbbq on IG - Beef ribs and spare ribs - DM him to orer. A’s BBQ - Los Angeles - @as_bbq on IG - DM for new location. Ragtop Fern’s BBQ - Los Angeles - @ragtopfernsbbq on IG - No pop-up scheduled this weekend. Republic Craft Barbecue - Los Angeles - @republicue_ - Sunday March 3rd at Boomtown Brewery. Abe Delgado and I are tracking the weekend BBQ pop-ups in and around Los Angeles so that we all don’t miss out on the chance to go to any of these. We hope this is a tool that you can use to keep track of the growing number of pop-ups dotting the Los Angeles landscape(we have added a few outside of Los Angeles for those doing weekend California road trips). Horn Barbecue - Oakland - @hornbarbecue on IG - No pop up scheduled. Ragtop Fern’s BBQ - Los Angeles - @ragtopfernsbbq on IG - Saturday February 23rd - DM to inquire. Republic Craft Barbecue - Los Angeles - @republicue_ on IG - Next pop up on Sunday March 3rd at Boomtown Brewery.